Yesterday I barked for Chubby Monster Games' FATE module “The Shrine of Olikulese” a fantasy based adventure for the FATE Accelerated Edition version of the FATE rules. Before I begin my mini-review of the module I most open with the caveat that FATE is not my system of choice when it comes to gaming. I love the concept of FATE and own both Core and Accelerated Editions and own both Dresden Files books and the adventures for it (pre-ordered all of them in fact), still I've never actually done anything but read about FATE. 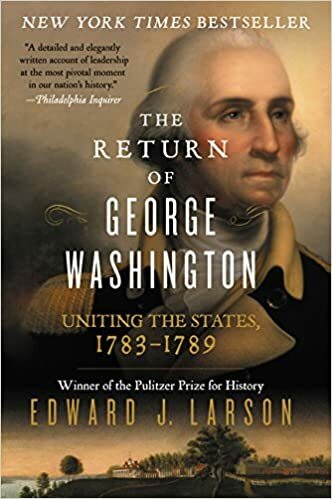 So that said, this review is coming from a purely academic point-of-view. The best way to describe “The Shrine of Olikulese” is to say it dumps the players into the middle of the story and would seem to work best as an addition to a pre-existing game, or as an introduction to fantasy-based FATE game. In fact I would love to see what Chubby Monster can come up with for an actual setting because this module has some interesting concepts (which I won't spoil). 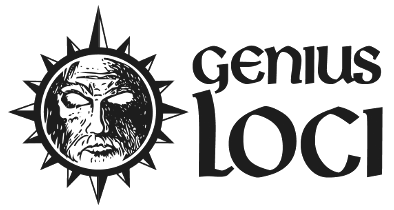 The adventure is a simple light dungeon crawl with pre-planned encounters and tons of room for a referee to improvise, expand and otherwise make it their own place in their own world. 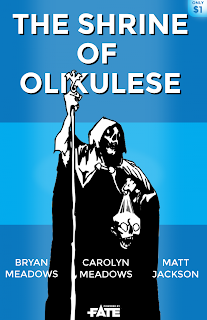 As I mentioned earlier in the review, “The Shrine of Olikulese” works great as an introduction and jump-off point for a FATE based fantasy game, especially with the secret at the end of the adventure which opens up a proverbial world of opportunities for the players and gives the referee the ability to create an episodic game with a large metaplot. What does this translate too? Simple, inexplicable awesome and I honestly want to see what else Chubby Monster comes up with the ideas presented in this short adventure. I would love to end the review here, but everyone in this world seems to want some negatives and honestly, I do have two gripes, the first being that I wish the “dungeon” was bigger, the second would be more randomized enemies in a classic “wandering monsters” table. 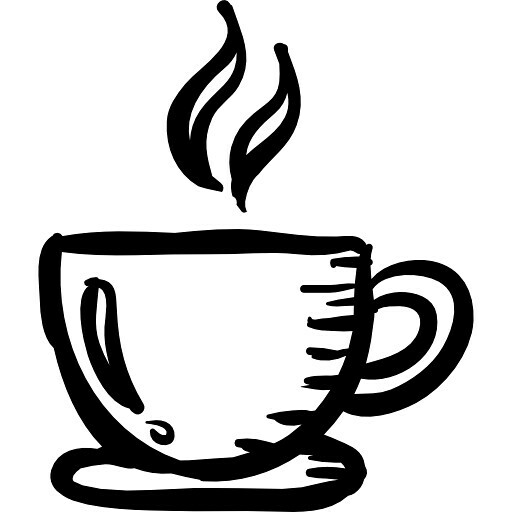 However, these are small things that do not detract from the module or the possibilities this module has. Good Game Chubby Monster, Good Game. 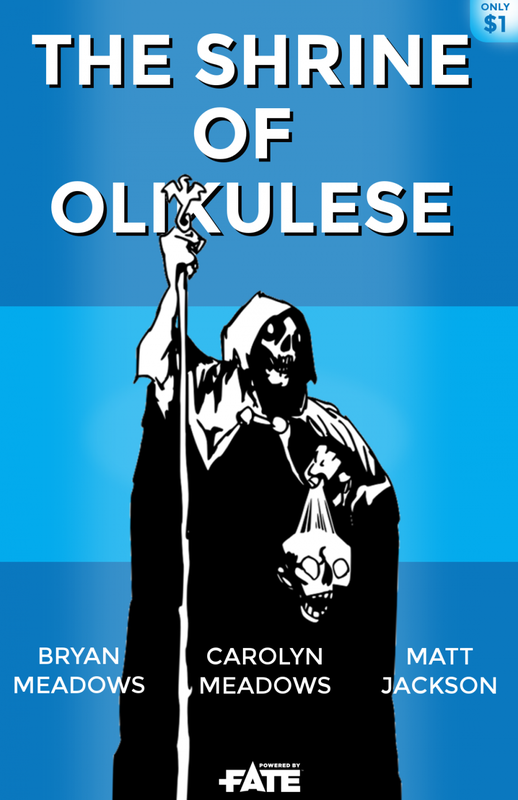 If anyone reading this hasn't picked up "The Shrine of Olikukese" yet it is available at rpgnow and drivethrurpg for the low price of $1.00! Follow the link to get it!